Contoured water-based adhesive. Odorless, non-toxic. 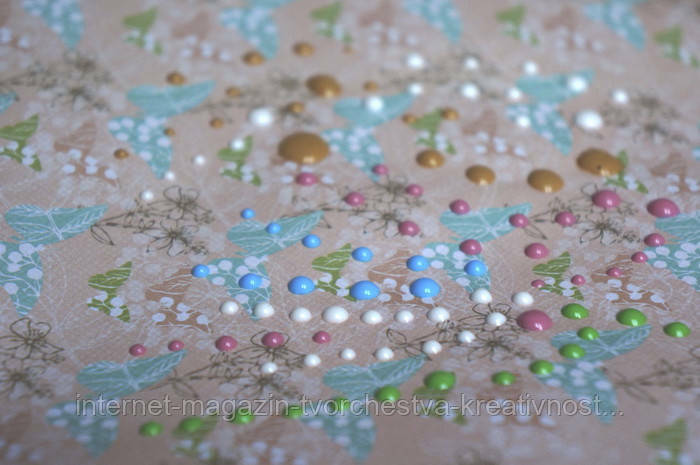 It is used to create the effect of colored drops (Dots) of enamel effect on any surface (paper, cardboard, cloth, wood, ceramics, glass, plaster, candles). Apply using the built-in dispenser. After drying dots retain their volume. Time of complete drying of 8-10 hours.